For those of you who love either booze, chemistry or both, this is the perfect product for you. 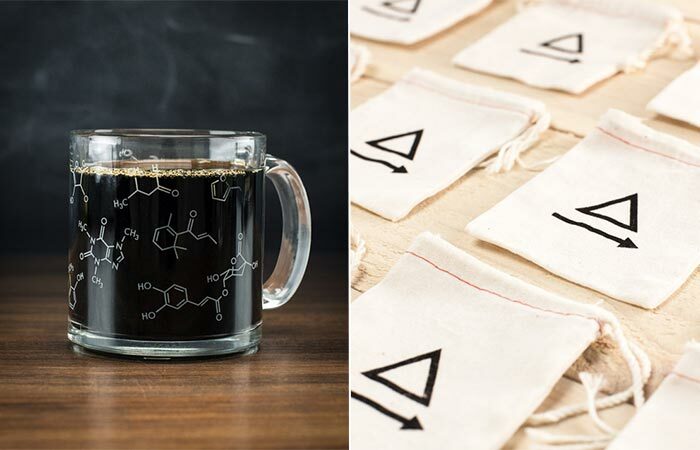 The guys over at Cognitive Surplus created awesome Chemistry Gift Packs. Everything comes nicely packed so it can truly be an original gift idea. First things first, let us explain what you get in them. 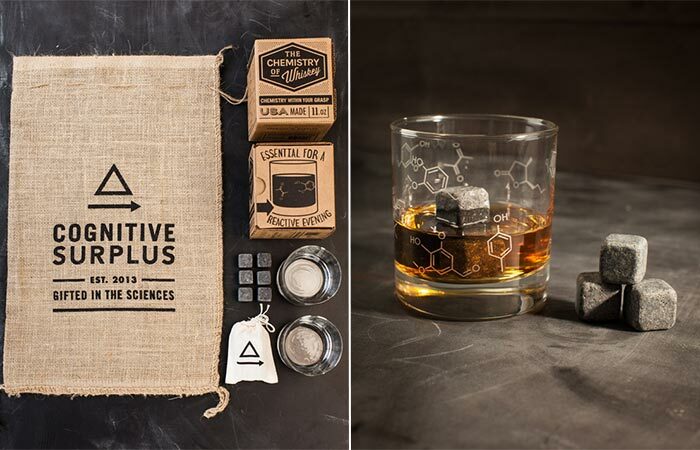 In the Whiskey Pack, there’s a pair of whiskey chemistry glasses and six whiskey stones placed in a cloth bag. All you have left to do is add the whiskey. The glasses have 11 oz capacity each and they are individually boxed. Also, since they are printed with eco-friendly ceramic ink, you can safely put them in a dishwasher. 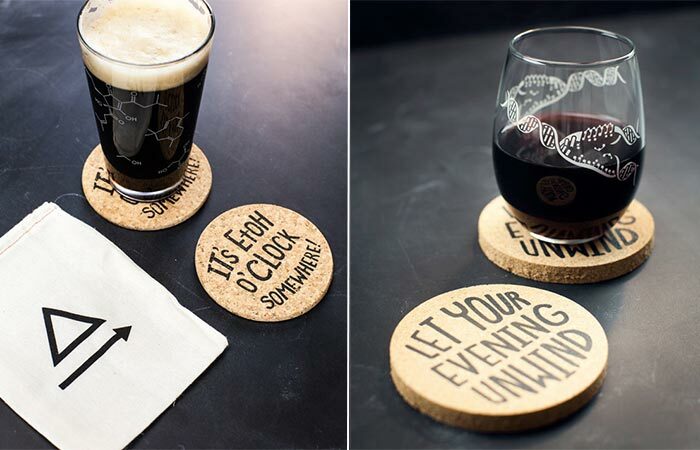 The packs come with unique glasses and coasters. Each one has a different molecular structure on them.